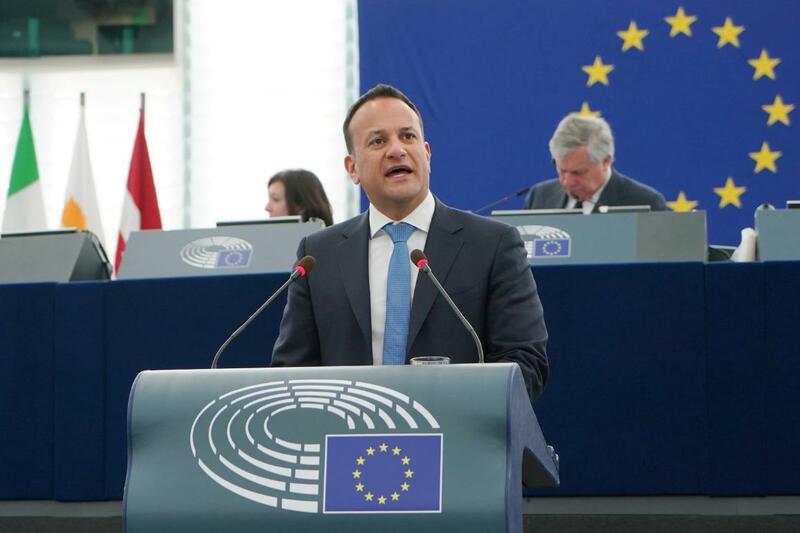 The Taoiseach (Prime Minister) of Ireland Leo Varadkar kicked off a series of Future of Europe debates between EU leaders and MEPs on Wednesday. Welcoming the Taoiseach, Parliament’s President Antonio Tajani said “I have insisted, from the day I was elected exactly one year ago, on the importance of bringing Europe closer to its citizens. They are looking to us to deliver solutions to create jobs, manage migration flows and strengthen our security and defence. Open debate between MEPs and EU leaders paves the way for crucial dialogue and understanding that will benefit our citizens across the continent. It puts the European Parliament - the only directly-elected EU institution - where it has to be, at the heart of the debate on the future of Europe". Mr Varadkar said “"The European ideal has always been inspired by a spirit of optimism and a belief in a better future. That ideal has been tested, but has not been broken. Based on the achievements of the past, we have a renewed appetite to face the challenges of the future". Laying out his vision for the future of Europe, the Taoiseach highlighted the need to improve democracy in the EU through EU-wide voting lists, completing the Economic and Monetary Union and ensuring that big corporations pay their fair share of tax. In the month marking 45 years of Irish membership of the EU, he also expressed his gratitude to MEPs for their support and solidarity in the Brexit negotiations, stressing the importance of ensuring that what has been promised in theory is delivered in practice. A vast majority of Parliament’s group leaders welcomed Mr Varadkar’s call for a more democratic Union, that takes concrete steps to protect citizens’ way of life, security, values and identities and secures social welfare and prosperity jointly in a globalized world. Most stressed that EU member states and citizens are stronger together than apart. Like Ireland in the past, the EU should be able to transform and adapt itself to tackle new challenges to the benefit of all citizens. MEPs also reiterated their firm pledge to stand by Ireland in the Brexit negotiations so as to ensure full respect for the Good Friday agreement. The European Parliament was the first EU institution to initiate this reflection on the future of Europe. At the start of 2017, it voted proposals encouraging broad reflection, both within and beyond the Lisbon Treaty framework, and taking the lead in rethinking the European Union to make it respond better to citizens’ concerns. This open exchange of views with Taoiseach Varadkar opens a series of plenary debates with EU heads of state or government on the future of the European Union. Click on the name of the speaker to replay individual statements.